Joseph Szabo, Lifeguard’s Dream, 1972. 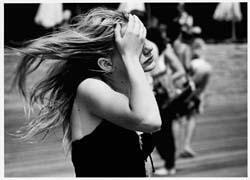 The Heckscher Museum of Art presented Coming of Age in America: The Photography of Joseph Szabo on view from January 14 through March 25, 2012. 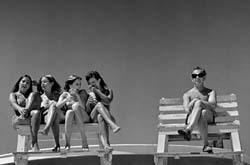 This exhibition, which featured more than 50 black-and-white photographs by Joseph Szabo, was the first museum retrospective of this Long Island photographer whose work presents a dual portrait of adolescence on Long Island and summers on the Island’s iconic Jones Beach. Szabo poignantly portrays teens on the cusp of adulthood, documenting his subjects in moments of uncertainty, reflection, longing, bravado, and exuberance. The restless teens and unselfconscious bathers seen in Szabo’s black and white photographs evoke timeless memories of our own, similar teenage years and summers at the beach. 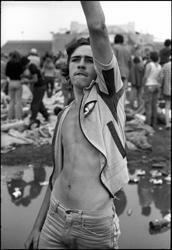 Born in Toledo, Ohio, Joseph Szabo studied photography at Pratt Institute, where he received his MFA. Szabo taught for more than twenty years at the International Center of Photography, New York. Szabo’s 1978 book Almost Grown (Harmony Books) was remade and expanded upon in 2003 as Teenage (Greybull Press). His work is in the collections of numerous institutions, including the Metropolitan Museum of Art, New York; the Museum of Modern Art, New York; Yale University, New Haven; the International Center of Photography, New York, among others.